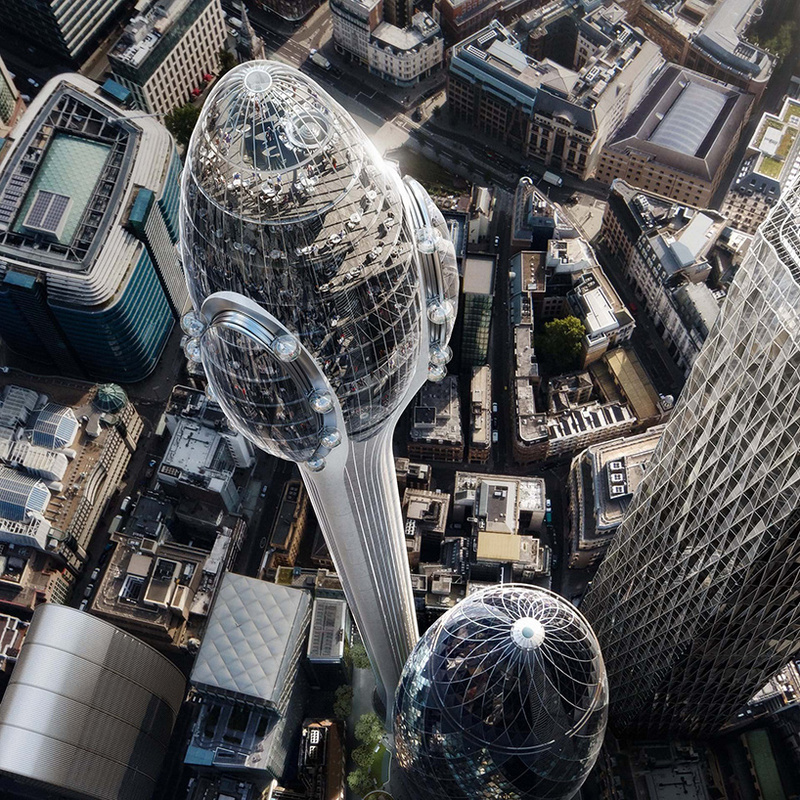 plans have been unveiled for ‘the tulip’, a 305-meter-tall (1,000 ft) visitor attraction, which, if realized, would tower above the city of london. 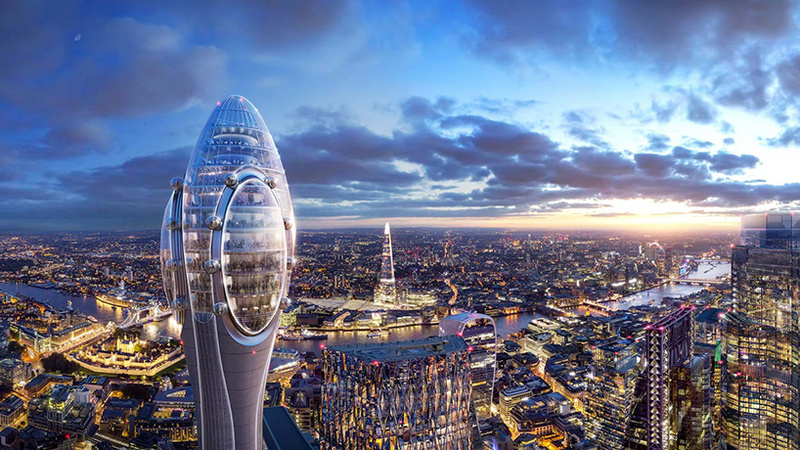 designed by foster + partners, the project has been conceived as a new public cultural and tourist destination that would enhance its surroundings. according to the team behind the project, the tulip will bring ‘wide cultural and economic benefits with a diverse program of events’. 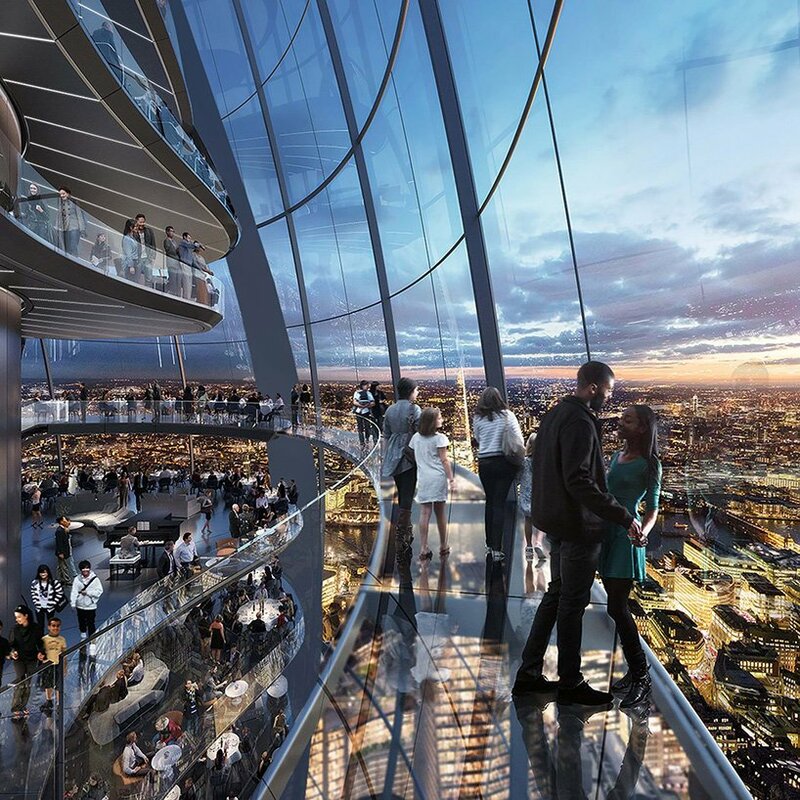 at 300 meters (almost 1,000 feet) above ground, the tower’s viewing galleries will contain sky bridges, internal glass slides, and gondola pod rides on the building’s façade. 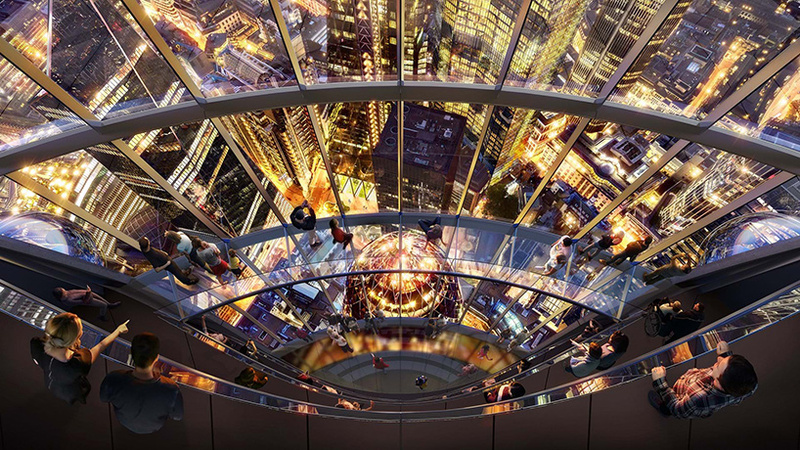 meanwhile, a restaurant and bar will offer sweeping views across the city. 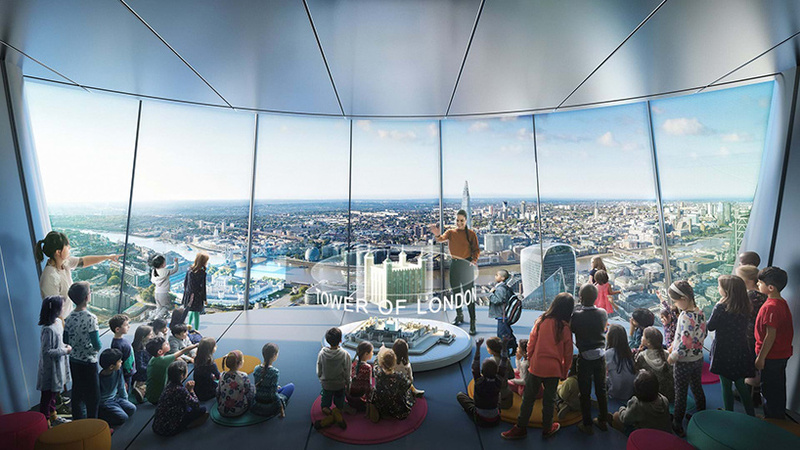 the project also involves an educational component with a ‘classroom in the sky’ offering 20,000 free places per year for london’s state school children. meanwhile, at ground level, the tulip seeks to extend the site’s public realm with the addition of a pocket park and a two-storey pavilion topped with a publicly accessible roof garden. 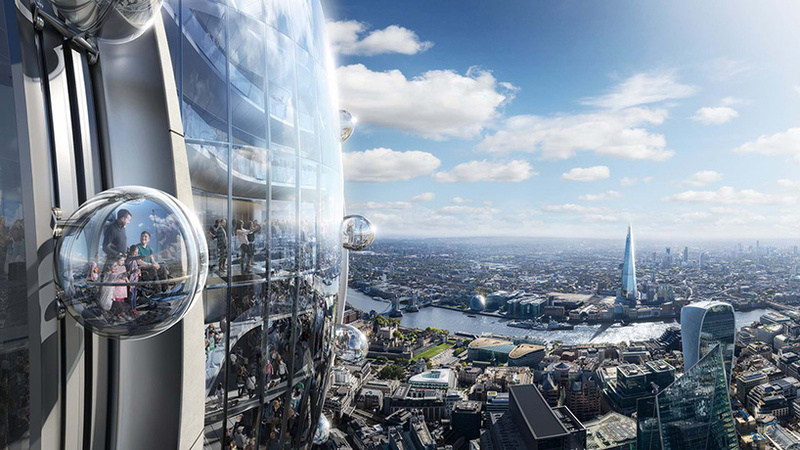 the team says that public access will also be improved with the removal of over half of the existing perimeter walls around the gherkin. 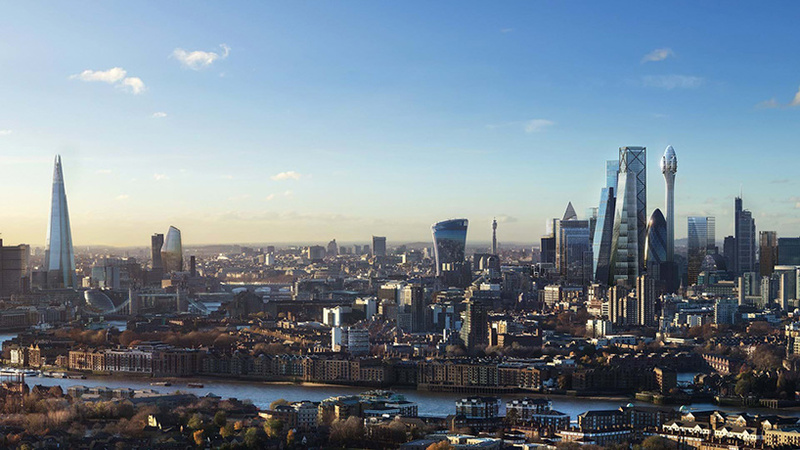 to reduce its energy consumption the scheme will utilize high performance glass and optimized building systems. heating and cooling will be provided by zero combustion technology, while integrated photovoltaic cells generate energy on site. 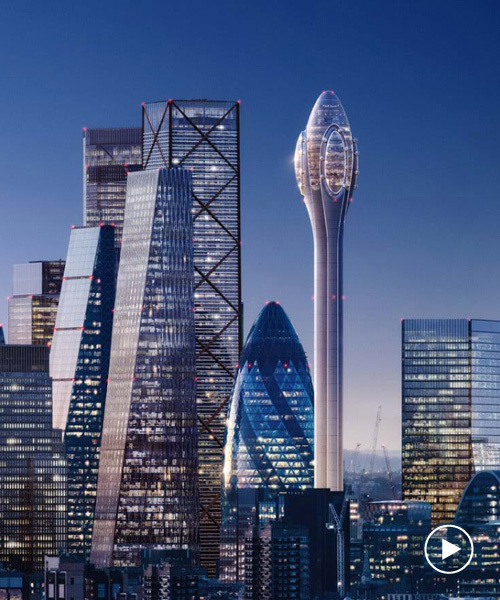 plans for the tulip will be exhibited in early december 2018 for local residents, businesses, and the general public.